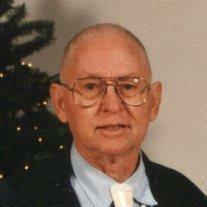 Marion F Pearce, 87 of Mesa, AZ passed away January 21, 2014. He is survived by his wife, Diane, their six children, twenty eight grandchildren, nineteen great grandchildren, his sister Ruby Efros and brother Melvin Pearce. Viewing will be Wednesday, January 29, 6-8 pm at Bunker’s Garden Chapel, 33 N Centennial Way, Mesa, AZ. Services will be held at the Church of Jesus Christ of Latter-day Saints, 1345 E University, Mesa AZ on Thursday January 30 at 10 AM with a viewing at 9 AM.